Skip the snow domes and keychains. If you’re an art lover or collector, picking up a piece of art on your travels is the ultimate souvenir. Ok, bringing home a painting or print is not going to be as cheap as a fridge magnet but it need not be as expensive as a framed work by a known artist. Here are five interesting, edgy and beautiful places where you can combine a thriving contemporary art scene with travel, and none of them are major cities. Ok, one of them is but it’s still pretty undiscovered in terms of a modern art rep! The cultural heart of Java is traditionally known for silver, batik art and puppetry, but these days it’s brimming with contemporary art galleries as well. Familiarise yourself with Jogja artists, like Addicted Art Gallery faves D.P.Pupuk and Srihadi Soedarsono. Check out Cemeti Art House where the owners are dedicated to supporting emerging artists rather than being focused on sales. Then move on to Sangkring Art Space and Jogja Gallery for new local talent and Ruang MES 56 for photography. 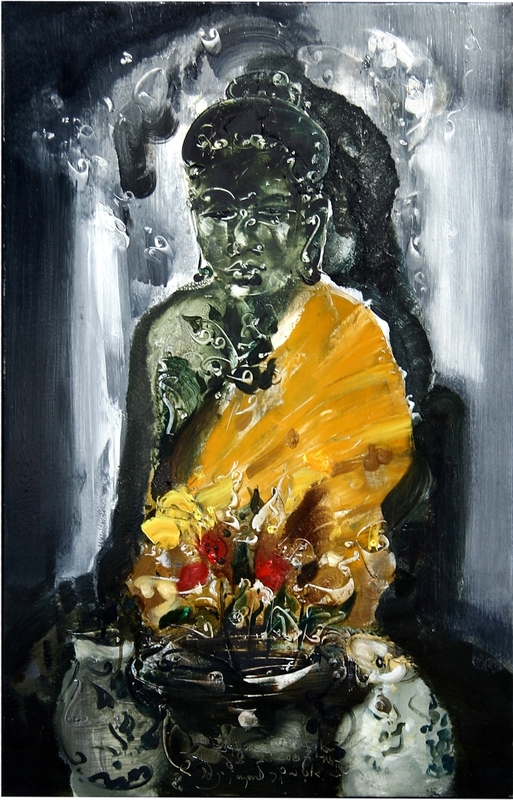 The interesting Affandi Museum dedicated to the well-known Indonesian painter is also worth a look. 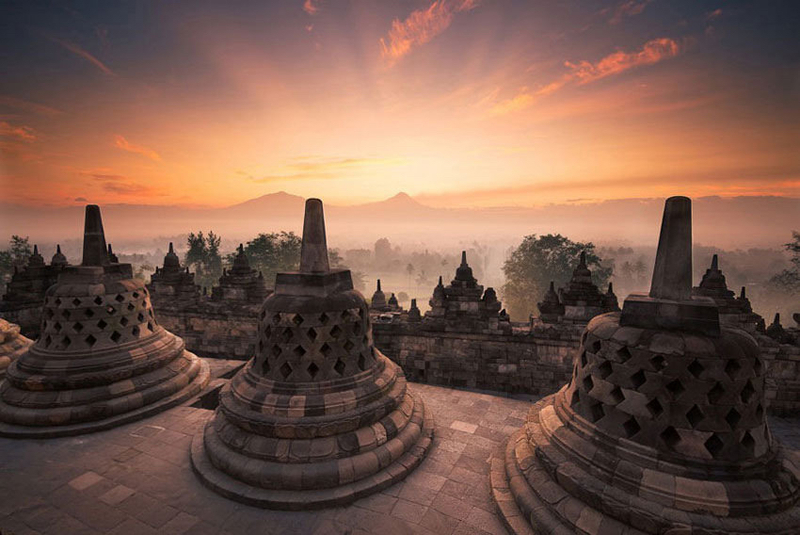 Don’t miss: the chance to visit the UNESCO heritage sites of Borobudur, an ancient Buddhist temple, and Candi Prambanan, the Hindu response to Borobudur. Both are as impressive as the volcanic Mount Merapi that overlooks Yogyakarta itself. 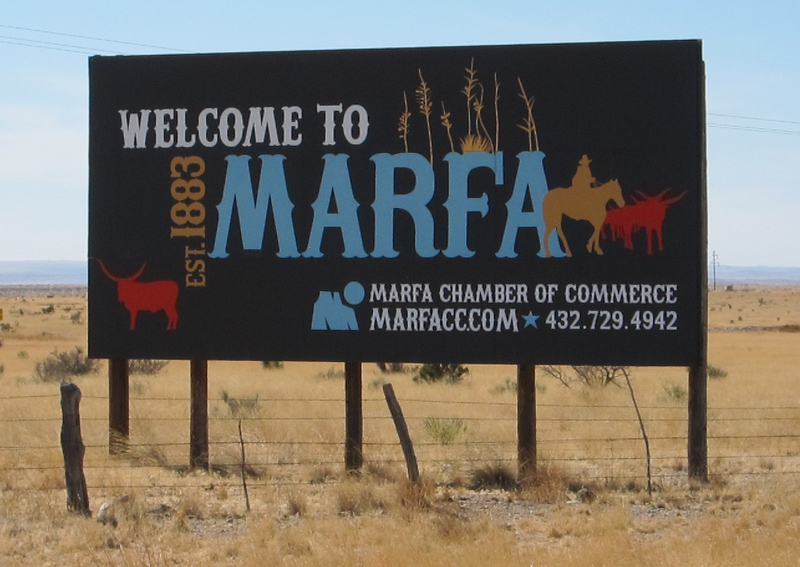 Established as a water stop in the 1880’s and then named after a character in the Jules Verne novel, Michael Strogoff, the town of Marfa was always going to be interesting. Set in the high desert of West Texas in between Big Bend National Park and the Davis Mountains, the town is still relatively small. But it’s big on minimalist art thanks to the artist, Donald Judd, who decamped here from New York in 1971. Waves of artists and galleries have been here ever since, including Building 98, an initiative of the International Women’s Foundation which supports an artist-in-residency programme. Why all the fuss? In addition to the ability to display artwork on a large scale, which is much more difficult in cities where real estate is at a premium, the wild beauty of the natural landscape has been an inspiration. 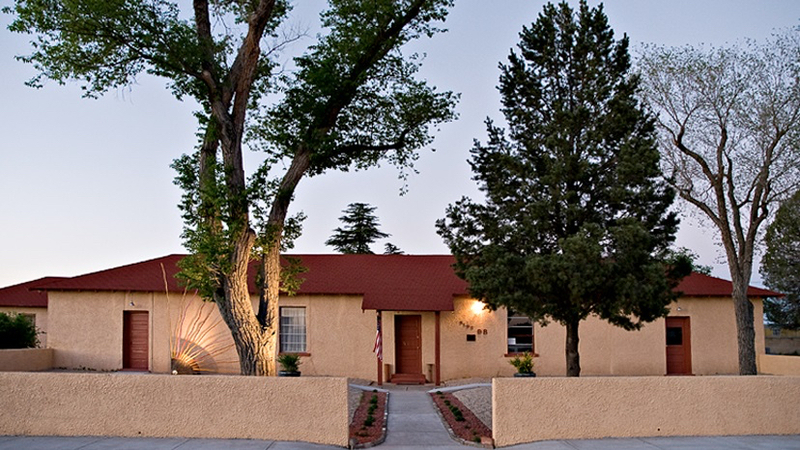 Not just for artists but filmmakers too: both No Country for Old Men and There Will Be Blood were filmed here. 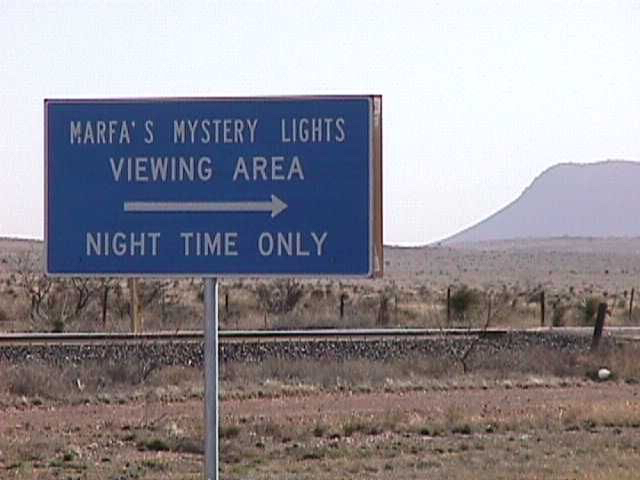 Don’t miss: catching a glimpse of the Marfa Lights! Referred to as ‘ghost lights’, some people are convinced these coloured and twinkling lights, visible on a clear night, are in fact UFO’s. Head nine miles east of Marfa on Highway 90 where there is a widened shoulder in the road and decide for yourself. This beautifully-sited city on the Danube is one of the more obscure capital cities in Europe, and it has an interesting arts scene full of opera, ballet and visual art. The city is compact enough to take picturesque walks to, from and between many galleries showcasing existing and emerging artists from Bratislava’s contemporary art scene, like Ivan Pavle. As background, it’s worth understanding that Slovakia was once part of Czechoslovakia and came under Communist rule after being seized by the Soviet Union. 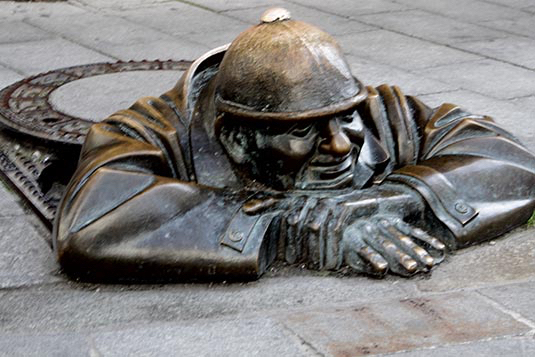 Slovakia only became an independent state in 1993, and this rich cross-cultural heritage informs some of the art here. Don’t miss: the opportunity to make a side trip to The Andy Warhol Museum of Modern Art in Medzilaborce. Warhol’s parents originated from the area and the museum contains an extensive collection of art and memorabilia. 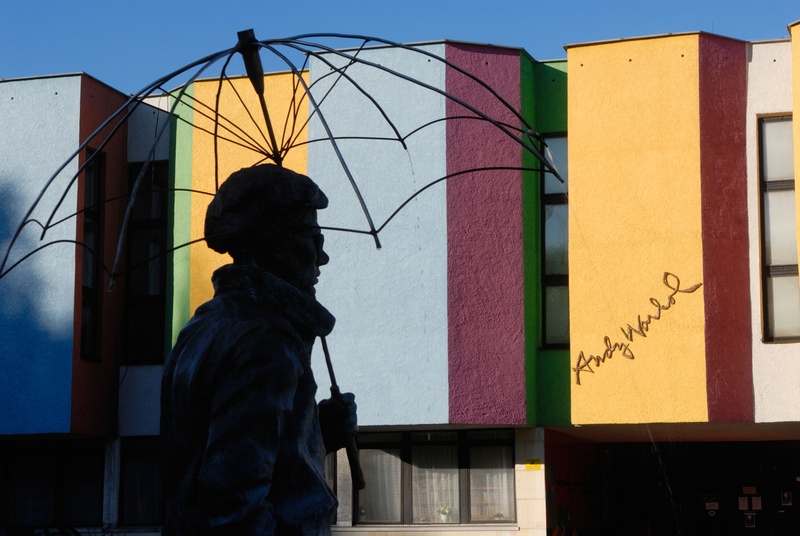 The irony of an artist, famous for creating works of capitalist icons, being commemorated in a former Iron Curtain outpost, makes this a place to visit. 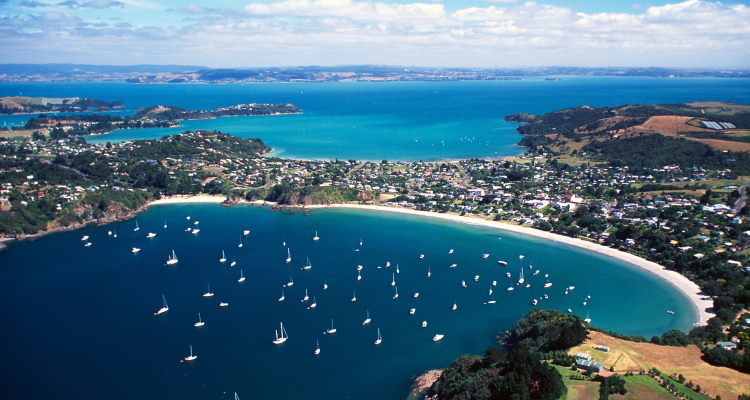 Beaches, vineyards, art and natural beauty combine in this cultural community, a short ferry ride from Auckland. Its picture perfect backdrop and relaxed lifestyle has made Waiheke a paradise for artists, who can get on with the business of creating in a like-minded community, unimpeded by the outside world. And galleries have been only too happy to spring up and exhibit the work of these local artists, such as Waiheke Community Art Gallery and [space] Contemporary Art Gallery. In fact, you can visit many local artists directly in their studios, such as Gabriella Lewenz Studio Gallery and Mary Ferguson. 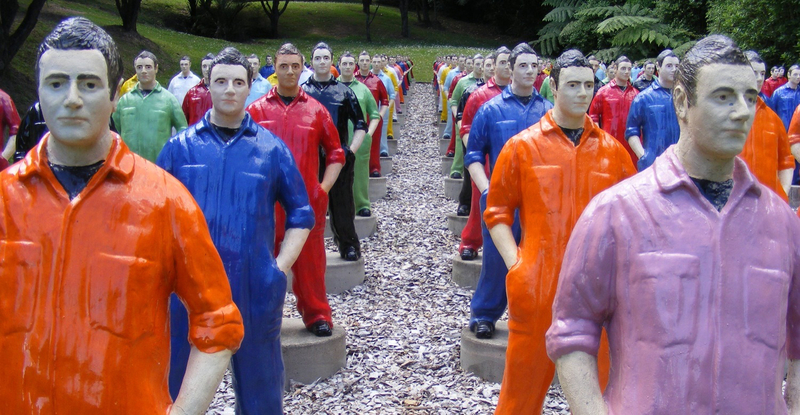 Don’t miss: the monumental (pun intended) Connells Bay Sculpture Park, the private collection of large-scale contemporary outdoor sculptures open to the public, is not to be missed. This communal settlement has seen various incarnations in its 150,000-year history. The Dada artist, Marcel Janco was the first to establish the village as an artist colony in 1953 and you can now visit the Janco Dada Museum. Set amongst olive groves at the foot of Mount Carmel and with views over the Med, it is home to many Israeli painters and sculptors and also artists from around the world. Since there are an extensive 14 workshops, 2 museums, and 22 galleries, with the main one being Ein Hod Central Art Gallery, you might want to rent a room and stay on site. Don’t miss: the opportunity to visit the UNESCO biosphere of Mount Carmel, which is actually a coastal mountain range with a ton of history as a sacred site. Even Pythagoras paid a visit. 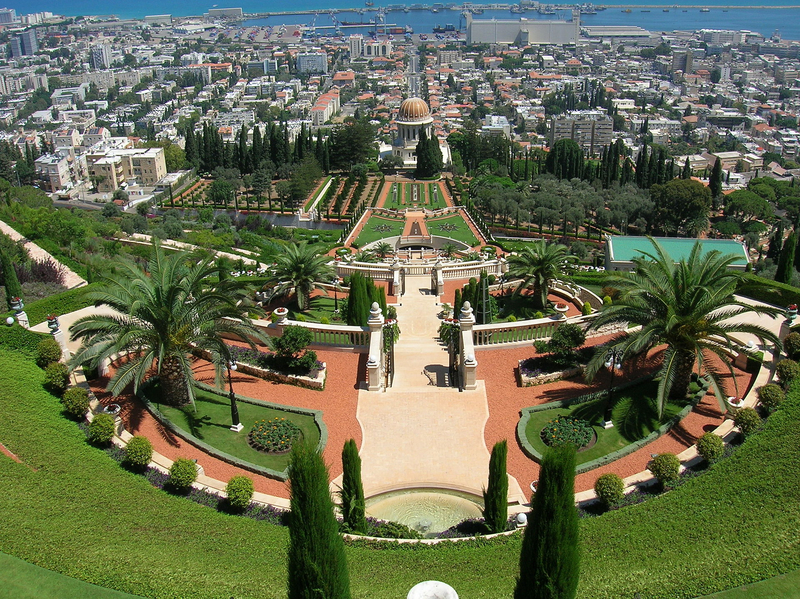 The Bahá'í Gardens, with its beautiful terraces surrounding the Shrine of the Bab are one of the most popular spots to visit in Israel. Let your wanderlust lead the way to new places and arty adventures. So, put on your walking shoes and get exploring because you never know where your next art gem will pop up - or who you might meet!